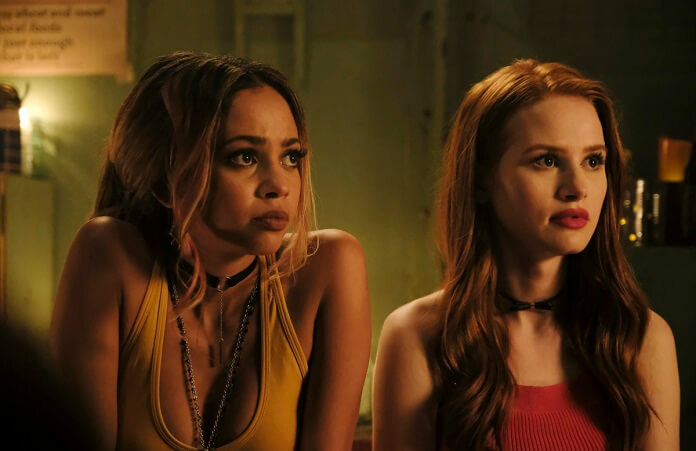 The CW’s Riverdale pulled off a weird flashback twist in season three episode four. The main young cast handled double duty playing their normal high school characters as well as their parents when they were in school. The dive back in time was to reveal secrets that have been kept hidden for decades involving the Griffons and Gargoyles club and the Gargoyle King. Season three episode four ended with Betty following clues about the club. However, by the time she put everything together Jughead and Cheryl were already deep into the game. Up next, season three episode five titled “The Great Escape” airing November 14, 2018. The episode was directed by Pamela Romanowsky from a script by Greg Murray and Ace Hasan. The “Chapter Forty: The Great Escape” Plot: ROLLING THE DICE — After weeks go by with no contact from Archie (Apa), Veronica (Mendes) devises a dangerous plan to break him out of juvie. Meanwhile, when Betty (Reinhart) learns that Jughead (Sprouse) has taken their investigation into Griffins & Gargoyles a step too far, she finds herself in a race against the clock to save him.